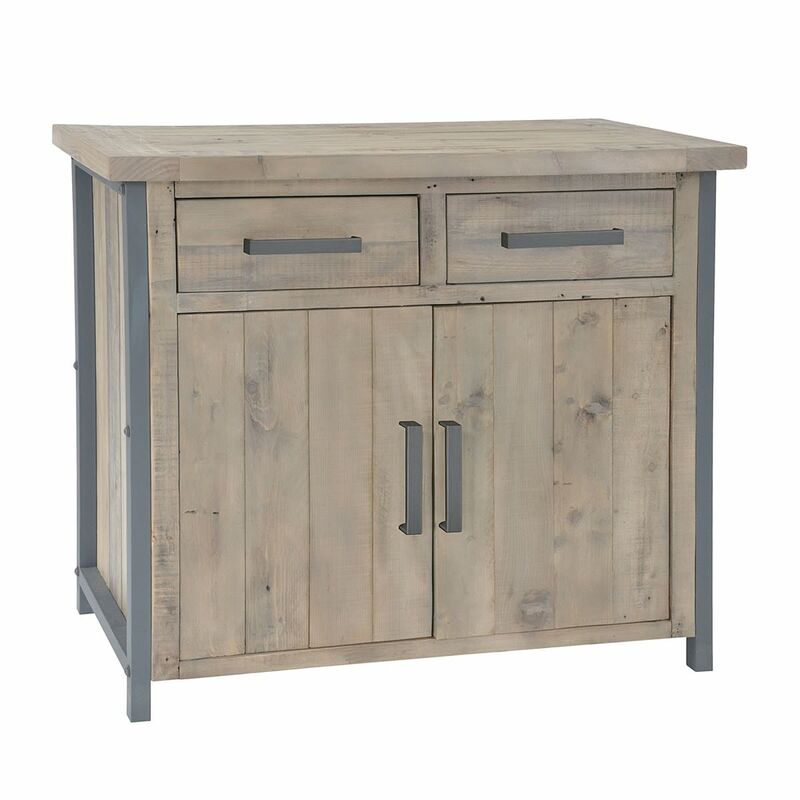 Ideal for the kitchen or dining room, the Hulstone Industrial Small Sideboard will bring rustic good looks and modern style where-ever you choose to put it. 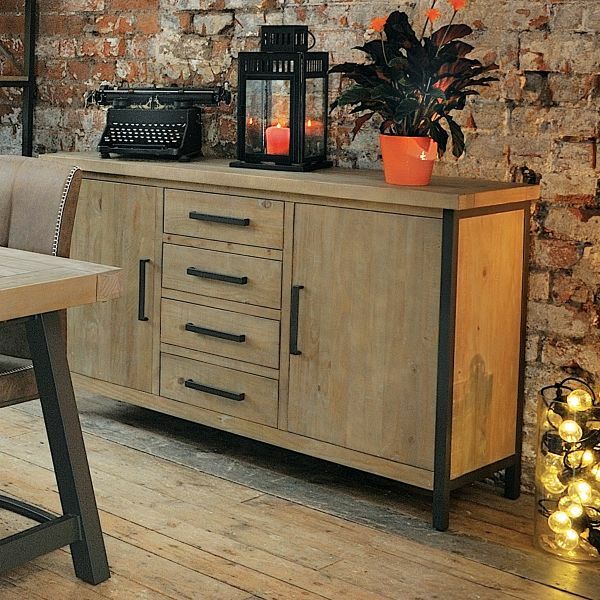 With a roomy, full width cupboard behind the double doors and two spacious drawers, it's perfect for storing dining plates and glasswear. 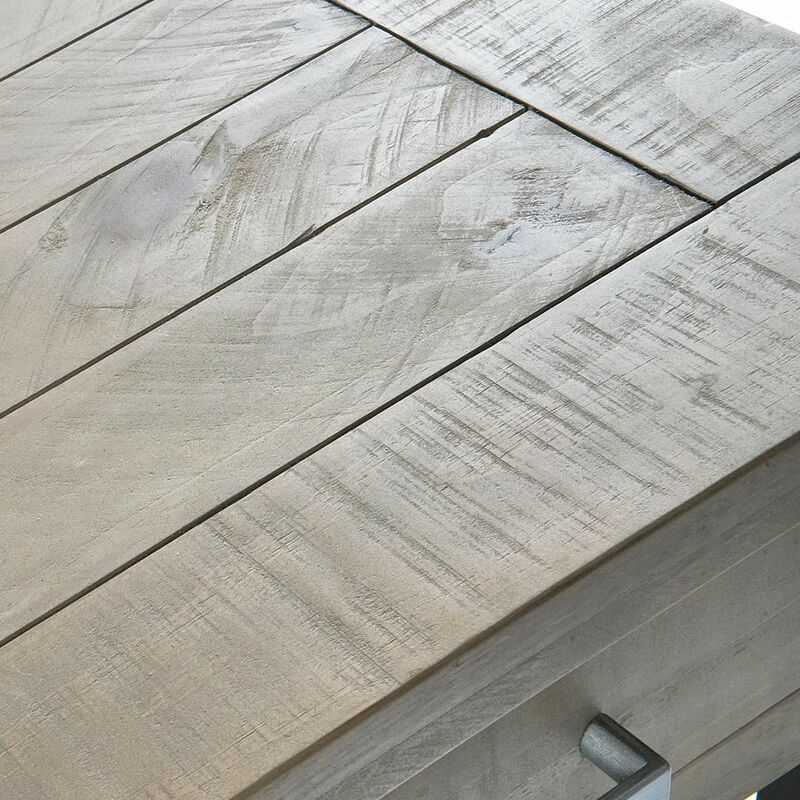 Expertly made from reclaimed rough sawn pine, the sideboard has a striking powder coated steel frame and has been given a grey wash tint lacquer which enhances the unique imperfections of the timber. 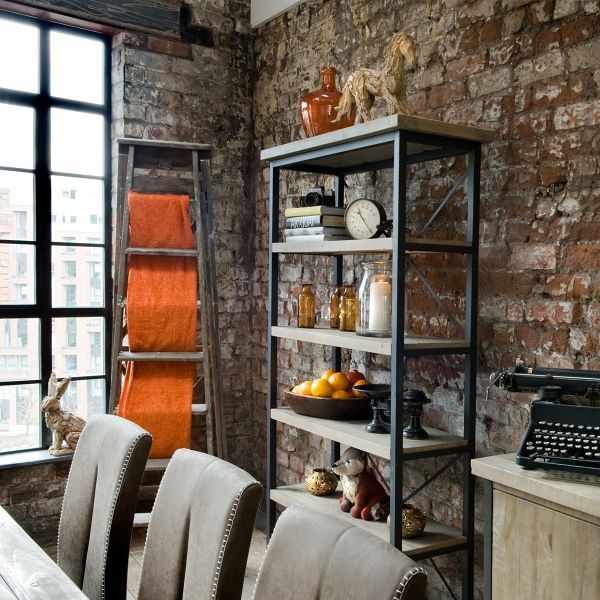 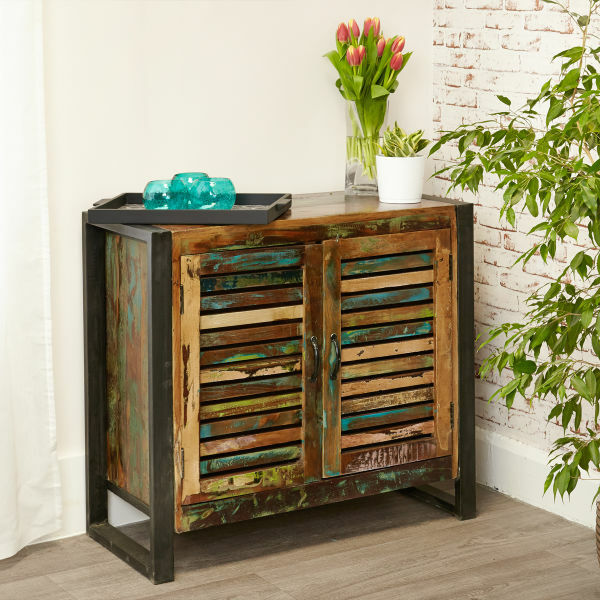 It is beautifully finished with steel bar handles on the doors and drawers. 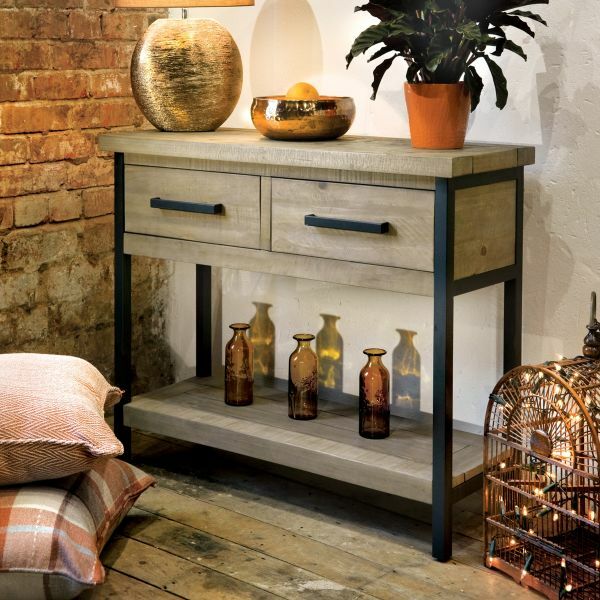 Crafted from solid reclaimed rough sawn pine with a matt steel frame, this smart sideboard is superbly built and delivered fully assembled within ten working days. 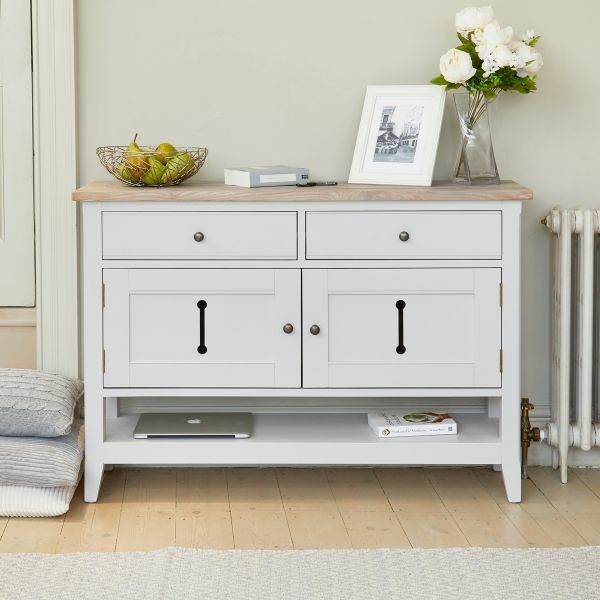 If you're looking for a stylish alternative, why not consider our best selling Urban Chic range of sideboards?